If you're already a member of Zeta Phi Beta Sorority and looking for a chapter home, you've come to the right place! We are happy to welcome you back home. Please email us at info@zetaseastbay.org or fill out the Epsilon Phi Zeta Chapter Contact Form and a Soror will contact you. 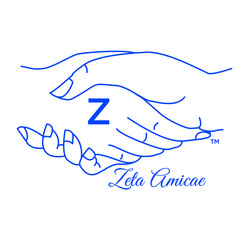 The Amicae (Latin for “Friends”) are a group of women who encompass the same ideals of Zeta women and have a desire to assist in furthering the programming of Zeta Phi Beta Sorority, Inc. The Amicae have rendered invaluable services to the Sorority and their communities. As early as 1940, graduate chapters of Zeta Phi Beta Sorority, Inc., had begun to realize the importance of the prestige, good will, and cooperation of women who were not eligible to become members of any Greek-lettered organization. The first chartered auxiliary was given to the Lambda Zeta Chapter of Houston, TX in 1948. Zeta Phi Beta was the first NHPC sorority to organize Youth Auxiliaries. Zeta sponsors three youth groups: The Archonettes, the Amicettes, and the Pearlettes. The Archonettes are high school-aged young ladies who demonstrate an interest in the goals and the ideals of scholarship, sisterly love, and community service. Archonette groups are affiliated through local chapters. Amicettes are girls 9 to 13 years of age who are willing to strive toward the high ideals of Zeta Phi Beta Sorority and who demonstrate potential for leadership in service to the community. Amicettes are affiliated through local chapters. Pearlettes are girls between 4-8 years old who are mentored by ladies of Zeta Phi Beta Sorority, Inc. to become outstanding leaders in their community. If you are a parent/guardian of a girl ages 4 - high school aged and would like to learn more about our youth affiliates, fill out the Epsilon Phi Zeta Chapter contact form or send an email to info@zetasestbay.org and someone will contact you.